For our clients motorcycles aren't just transportation, they're a way of life. We know motorcycle insurance because we love motorcycles too. Let us help you save money and protect your bike. Motorcycle insurance provides financial protection against physical damage and/or bodily injury resulting from traffic collisions and against liability that could also arise from the actions of the motorcycle driver. Motorcycle insurance may also offer financial protection against theft of the motorcycle and damage sustained from things other than traffic collisions. Accessory Coverage - Covers loss, theft, or damage to motorcycle accessories like saddlebags, custom handlebars, and OEM electronics. 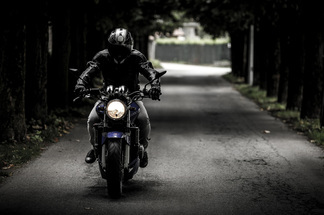 Comprehensive Physical Damage Coverage - Covers physical damage or loss of the motorcycle that is not the direct result of a moving vehicle collision. Collision Coverage - Pays for damage to an insured motorcycle when it hits or is hit by another car or object, or if the motorcycle overturns. Bodily Injury Liability Coverage - Pays damages for bodily injury or death resulting from an accident for which you are at fault and provides you with a legal defense. This includes passengers riding on your motorcycle. Property Damage Liability Coverage - Pays damages for physical damage resulting from an accident for which you are at fault and provides you with a legal defense. Medical Payments Coverage - Pays medical expenses of the parties riding on the motorcycle involved in a motorcycle accident. Personal Injury Protection Coverage - This is an extension of motorcycle insurance available in some states that covers medical expenses and, in some cases, lost wages and other damages. PIP is designed to be paid without regard to legal liability. Motorcycle Roadside Assistance Coverage - Roadside assistance and breakdown coverage assist operators whose motorcycle has suffered a mechanical failure that leaves the operator stranded. Contact us to learn more about the right motorcycle insurance for you.